This white wine made next door to Auxerre from the Sauvignon grape is often the colour of pale straw or light gold. Aromas are of citrus fruits (grapefruit, mandarin orange), peach, and crushed blackcurrant leaves with sometimes exotic scents (lychee). 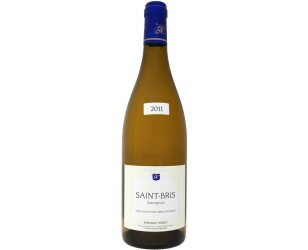 This complexity introduces a fruit which is full, flowery and tender, with a hint of salt and spice in the finish. Jammy and preserved-fruit aromas will appear as the wine ages. This is a wine that can be either enjoyed young or after having aged a few years. Something of an oddity in Bourgogne, the Sauvignon grape here yields a wine remarkable for its splendid aromatic range, which makes it a frisky partner for oysters and crustaceans. Taken as a pre-dinner drink, it stimulates the taste-buds. It is magisterial with goat cheeses, and its vivacity enlivens all fish dishes and particularly Scandinavian-style recipes. It also harmonizes very well with highly-spiced curries or saffron-flavoured dishes. Serving temperatures: 8 to 10°C as aperitif,10 to 11°C with food. Lying alongside the river Yonne in the heart of the Auxerrois region, Saint-Bris-le-Vineux is an old stone-built village beneath which are extraordinary medieval cellars, running everywhere, the most astonishing examples of their kind in Bourgogne. They cover 3.5 ha, 60 metres underground. The quarries at nearby Bailly supplied the building stone for the Pantheon in Paris. Saint-Bris is definitely worth a visit. The soils are derived from various Jurassic limestones ranging from Portlandian to Kimmeridgian. Alluvial soils and fossiliferous Lower Kimmeridgian limestone astartes are found alongside the river and at the foot of the marlylimestone slopes. The best situated plots are on the open hillside facing north, so maturation takes place under ideal conditions which favour the wine’s fruitcontent.